Can You Book on the Reputation of Your Travel Agent? Whether you have completed that desired summer trip, will be headed off on it soon or have a winter getaway booked, are you using a travel agent? While many travelers save the expense of a travel agent and do the booking themselves, others like having someone else handle the details in order to make their trip less cumbersome. If you decide on the latter option, make sure you work with a travel agent who’s online reputation info is second to none, has your best interests at heart, and does not have a list of customer complaints about him or her a mile long. When you set out looking for the right travel agent, focus in on several factors. First, find a travel agent that has actually done a decent amount of traveling. It may sound like a no-brainier, but locating a travel agent that does not get out from under their desk very often is not going to do you any good when seeking travel advice. Secondly, find someone that is not hesitant in the least to give you referrals. If the agent seems a little shy about giving you a referral or two, the fact that they may have had some customer service issues over time could be an issue. Now that does not mean that every travel agent who does not give you a reference or two is a bad agent; just means that it should not be something they have to think about for a prolonged period of time. Another factor to look at is does the travelagency have a series of connections with different resorts, airlines, cruise lines, rental car dealers etc? It is good to be able to throw a name of a travel agent around in the event you get to such destinations and issues arise like hotel problems, rental car delays, etc. Travelers should also look for agents that are familiar with various worldwide destinations where they are headed. In the event you are planning a trip to another country or countries, it is important to know the rules and regulations for getting into and out of that locale. A travel agent can also help you with any issues of importance going on in that country, along with any health matters that you need to know about ahead of time. Another matter to take into account when deciding on a travel agent is if that agent is up to speed on “accessible travel,” meaning they know about the needs for travelers with disabilities. In the event you have such needs, make sure your chosen agent can and does answer any questions on your ability to get around during the trip. You also want a travel agent that is not hesitant to ask you a variety of questions about your trip plans, your needs during the trip, and how they can best be of service to you. Lastly, and probably most important to many travelers, get the lowdown on trip prices before you even talk with a chosen travel agent. Do some online research to see what you will likely pay for this flight or that cruise, this rental car or that hotel. 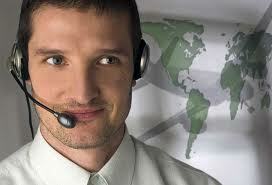 Then, work with a chosen travel agent and see how close they can match the information that you came across online. If the prices are significantly different, meaning your agent comes in at a much higher price, they could end up taking you for a ride. While most travel agents will do right by you, always make sure to be effectively involved in your travel plans. To not be involved could end up leading you on a trip of no return, financial return that is.